Focus on the needs of your readers. This can be effectively accomplished by leading with the problems your solution overcomes, rather than the actual solution itself. This might seems counterintuitive, but it really is just the opposite. By focusing on the pain points experienced by the reader and talking about the problems caused by those pains, you are establishing credibility with the reader and simultaneously filtering out unqualified customers. In 2014, mobile shopping grew 48% year over year and that growth shows no signs of slowing down. 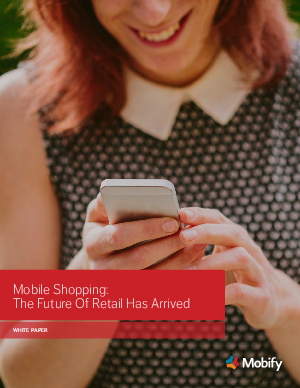 53% of retailers have identified mobile as a key strategic priority for 2015 and a third have already integrated their mobile, desktop and bricks-and-mortar marketing efforts.